In real-life conflict resolution situations, one size does not fit all. Just as a mechanic does not fix every car with the same tool, the conflict resolution practitioner cannot hope to resolve every dispute using the same technique. 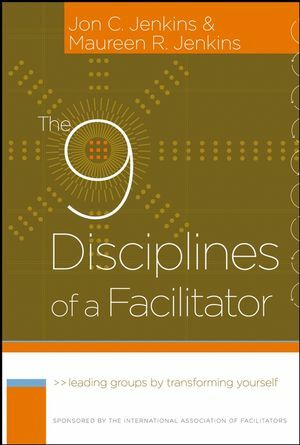 Practitioners need to be comfortable with a wide variety of tools to diagnose different problems, in vastly different circumstances, with different people, and resolve these conflicts effectively. The Conflict Resolution Toolbox gives you all the tools you need: eight different models for dealing with the many conflict situations you encounter in your practice. 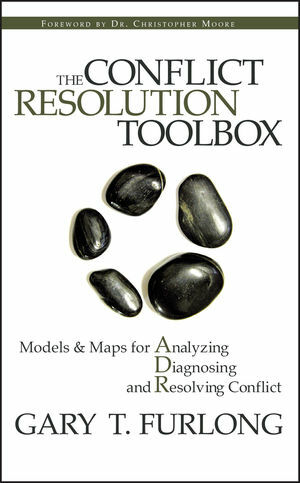 This book bridges the gap between theory and practice and goes beyond just one single model to present a complete toolbox - a range of models that can be used to analyze, diagnose, and resolve conflict in any situation. It shows mediators, negotiators, managers, and anyone needing to resolve conflict how to simply and effectively understand and assess the situations of conflict they face. And it goes a step further, offering specific, practical guidance on how to intervene to resolve the conflict successfully. Each model provides a different and potentially useful angle on the problem, and includes worksheets and a step-by-step process to guide the reader in applying the tools. Offers eight models to help you understand the root causes of any conflict. Explains each model's focus, what kind of situations it can be useful in and, most importantly, what interventions are likely to help. Provides you with clear direction on what specific actions to choose to resolve a particular type of conflict effectively. Features a detailed case study throughout the book, to which each model is applied. Additional examples and case studies unique to each chapter give the reader a further chance to see the models in action. Includes practical tools and worksheets that you can use in working with these models in your practice. The Conflict Resolution Toolbox equips any practitioner to resolve a wide range of conflicts. Mediators, negotiators, lawyers, managers and supervisors, insurance adjusters, social workers, human resource and labour relations specialists, and others will have all the tools they need for successful conflict resolution. GARY FURLONG is a mediator, trainer, facilitator, and consultant with Agree Dispute Resolution. As a mediator, he handles files ranging from organizational and family disputes to complex commercial and construction matters. As well as mediating, Gary delivers consulting, facilitating and coaching services in dispute resolution, partnering, organizational change, conflict management, and other areas. He is a frequent presenter and speaker to various organizations and associations on the topics of alternative dispute resolution and conflict management. As a trainer, Gary teaches conflict management, negotiation, and mediation skills in the private sector and at numerous educational institutions, such as York University, the University of Toronto, the Queen's University Industrial Relations Centre, and the Peace and Conflict Studies Program at Conrad Grebel College. He is Past President of the ADR Institute of Ontario, is a Fellow with the International Academy of Mediators, and holds the Chartered Mediator (C.Med) designation. We All “Practice” Conflict Resolution Daily. Diagnosis: Finding the Root Causes of Conflict. Theories vs. Models in a Practice Profession. A Wide Range of Conflict Analysis Models. Chapter Two – Overview of the Models. Model #1—The Circle of Conflict. Model #2—The Triangle of Satisfaction. Model #5—The Dynamics of Trust. Model #7—The Social Styles Model. Chapter Three – The Conflict Story. Chapter Four – Model #1: The Circle of Conflict. Background of the Circle of Conflict Model. Diagnosis with the Circle of Conflict. Case Study: Circle of Conflict Diagnosis. Strategic Direction from the Circle of Conflict. Case Study: Circle of Conflict Strategic Direction. Assessing and Applying the Circle of Conflict Model. Practitioner’s Worksheet for the Circle of Conflict Model. Additional Case Study—Circle of Conflict. Circle of Conflict Worksheet: The Spanish Estate. Chapter Five – Model #2: The Triangle of Satisfaction. Background of the Triangle Model. Diagnosis with the Triangle of Satisfaction. Case Study: Triangle of Satisfaction Diagnosis. Strategic Direction from the Triangle of Satisfaction. Case Study: Triangle of Satisfaction Strategic Direction. Assessing and Applying the Triangle of Satisfaction Model. Practitioner’s Worksheet for the Triangle of Satisfaction Model. Additional Case Study—Triangle of Satisfaction. Chapter Six – Model #3: The Boundary Model. Background of the Boundary Model. Diagnosis with the Boundary Model. Case Study: Boundary Model Diagnosis. Strategic Direction from the Boundary Model. Case Study: Boundary Model Strategic Direction. Assessing and Applying the Boundary Model. Practitioner’s Worksheet for the Boundary Model. Chapter Seven – Model #4: Interests, Rights, and Power. Background of the Interest/Rights/Power Model. Strategic Direction from the I/R/P Model. Case Study: I/R/P Strategic Direction. Assessing and Applying the I/R/P Model. Practitioner’s Worksheet for the I/R/P Model. Chapter Eight – Model #5: The Dynamics of Trust. Background of the Trust Model. Diagnosis with the Trust Model. Strategic Direction from the Trust Model. Case Study: Trust Model Strategic Direction. Assessing and Applying the Trust Model. Practitioner’s Worksheet for the Trust Model. Chapter Nine – Model #6: The Dimensions of Conflict. Background of the Dimensions Model. Diagnosis with the Dimensions Model. Case Study: Dimensions Model Diagnosis. Strategic Direction from the Dimensions Model. Case Study: Dimensions Model Strategic Direction. Assessing and Applying the Dimensions Model. Practitioner’s Worksheet for the Dimensions Model. Chapter Ten – Model #7: The Social Style Model. Background of the Social Style Model. Diagnosis with the Social Style Model. Case Study: Social Style Diagnosis. Strategic Direction from the Social Style Model. Case Study: Social Style Strategic Direction. Assessing and Applying the Social Style Model. Practitioner’s Worksheet for the Social Style Model. Additional Case Study: Social Style Model. Chapter Eleven – Model #8: Moving Beyond the Conflict. Background of the Moving Beyond Model. Diagnosis with the Moving Beyond Model. Case Study: Moving Beyond Diagnosis. Strategic Direction from the Moving Beyond Model. Case Study: Strategic Direction with the Moving Beyond Model. Assessing and Applying the Moving Beyond Model. Practitioner’s Worksheet for the Moving Beyond Model. Moving Beyond Model Diagnosis and Worksheet: The Workplace Assault Case. Moving Beyond Model Strategic Direction: The Workplace Assault Case.